Its hard to believe, bu t The Eloquent Equine is celebrating its 2 year Anniversary this year!To celebrate, we’ve got an all new special issue, looking at where we came from, who we are, and what we do — plus an inside look at some new things in development! 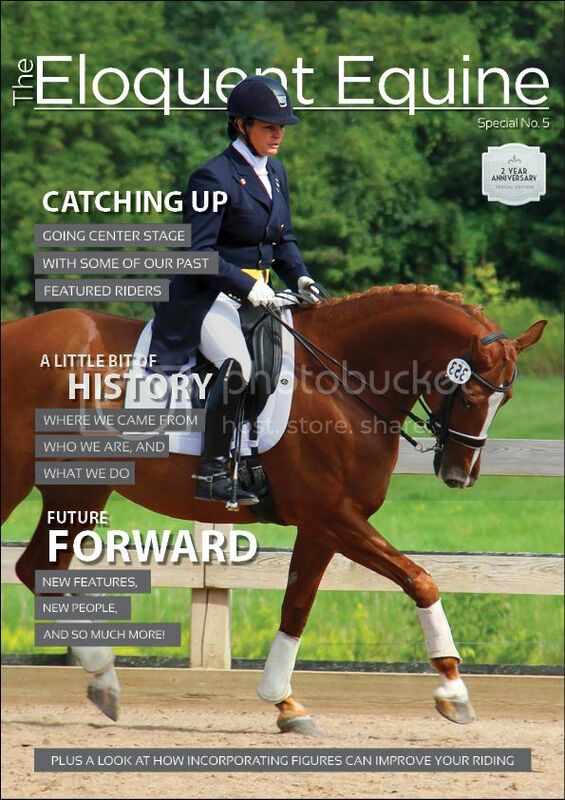 In this issue, we go center stage to catch up with Stephanie Jensen, of Stephanie Jensen Equestrian, and also catch up with some past featured riders. We also hear from Clare Haxby, a mixed media artist and print maker who has recently launched her new collection. If that wasn’t enough, we’ve also got a great article with tips for incorporating circles into your training routine, and some exercises you can try.